IRVINE, CA—This seemingly endless upcycle continues to steam along, although the cap rate environment as we swing into 2019 is giving some investors pause. So says Shaun Riley, senior managing director of Faris Lee Investments. But one investor’s hesitation is another’s opportunity, as foreign capital activity bears out. Here’s how Riley sees the next few months shaping up. GlobeSt.com: Can you characterize the current climate for investments on the part of both domestic and foreign players in the US market? Shaun Riley: Investor demand remains healthy though not as robust as it was a year or even two years ago. We see both institutional and private capital continuing to pursue opportunities, though underwriting has changed due to risk tolerances. Grocery-anchored product remains in high demand, as does street retail in core, in-fill locations. That said, some of the institutions have pulled back entirely on neighborhood centers and STNL not leased to food uses. The reasoning is that they’re over-weighted in these asset classes and they see more risk than upside going forward. This pullback by the institutions has given foreign capital a great opportunity to acquire well-performing US real estate at better pricing than in the recent past. Foreign capital, especially from China, is willing to take more risk than US-based investors and move capital from riskier political environments where capital and real property can be seized or frozen. It also allows them to move away from fluctuating and often unstable currency rates. GlobeSt.com: Are you finding more hesitation over interest and cap rates from buyers? Riley: Interest rates have become an everyday conversation. The aggressive monetary stimulus in the US has ended and rates are beginning to return to their long-term mean. The hesitation for investors is really all about acquiring at a price that’s attractive enough to meet their return goals. Generally speaking, investors now need to acquire at higher going-in cap rates to offset the effect of higher interest rates. GlobeSt.com: Where are they in terms of appetite for risk? Riley: We’re in the late stages of the current real estate cycle and the bid/ask spread on most retail assets is now wider than at any time in this cycle. Underwriting has become more stringent as investors try to account for risks like increasing vacancies, adjusting above-market rents to market levels, and higher interest rates, which may be part of market conditions going into the next real estate cycle. To offset these risks, investors are making adjustments to the NOI which affect the projected IRR and thus what investors can pay for assets. GlobeSt.com: What markets—both in terms of geography and asset class–are hot right now and which not so much? Riley: From a geographic standpoint, the Southeast US has seen tremendous job and population growth, and thus retail development follows. Additionally, there’s no shortage of investors looking to invest along either coast. The preferred asset classes continue to be grocery-anchored centers and centers with the majority of income stream derived from restaurants, service and experiential tenants. On the STNL side, demand for QSRs, from mostly private capital, remains very strong. 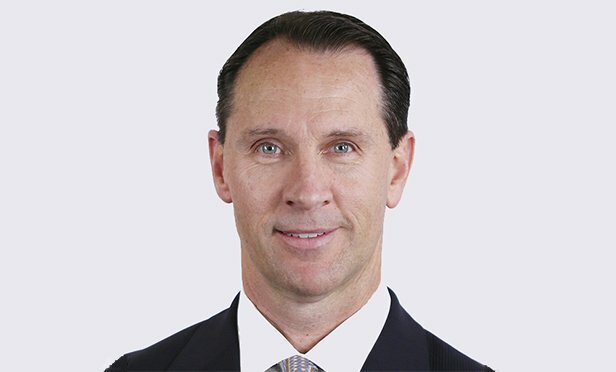 GlobeSt.com: What’s the outlook for investment as we look at 2019? Riley: We see a slight softening of cap rates due to expected interest rate increases and investors requiring lower pricing to compensate for some potential headwinds in the market. The good news is that most investors haven’t bought into the headlines that retail is dead, so there’s still an ample amount of equity looking to be placed and financing is readily available to help facilitate the transactions.